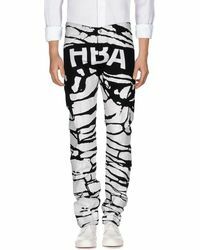 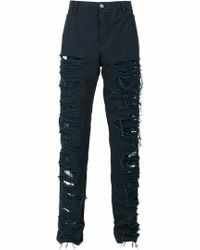 Established in 2006 by Trinidad and Brooklyn-raised designer Shayne Oliver, urban brand Hood By Air is a cult New York label now synonymous with avant-garde, street-ready separates. 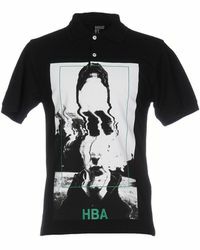 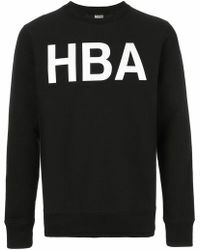 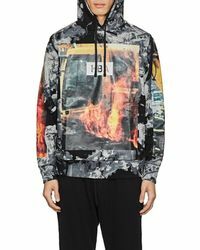 With an ability to elevate streetwear into luxurious realms, Hood By Air has emerged from the underground into an iconic high-fashion force. 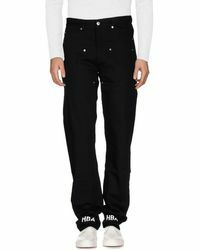 In both the men’s and women’s collections, expect to see graphic T-shirts, oversized hoodies and screen-printed jeans with zip-away layers and eye-catching logos that will give your casualwear line-up a dose of contemporary cool. 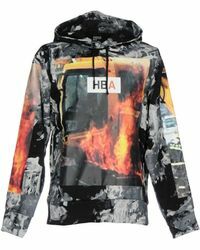 Browse and shop the full range of Women's Hood By Air Clothing and Men's Clothing.